Whether you have your sights set on a vehicle from our used or new Acura inventory, you’ll find many great car specials available at our Scarsdale, New York Acura dealership. 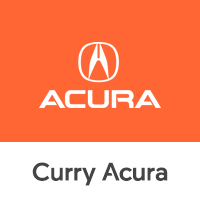 With offers and incentives that provide significant savings, you won’t want to go anywhere other than Curry Acura for your next Acura vehicle. Experience extra savings by valuing your trade and checking to see if you qualify for programs like our Acura Military Appreciation Offer. Don’t take our word for it, start browsing our incredible new Acura incentives today. Give us a call if you have additional questions! We have a large inventory of gorgeous new Acura vehicles at our Scarsdale, NY Acura dealership. Experience the thrill of a luxurious Acura ILX or the spacious and comfortable Acura MDX. Our friendly team will guide you through our model lineup and help you find a great financing or leasing option. Visit Curry Acura to drive home in a new Acura vehicle today! Whether you take the next step in the car buying process by filling out our auto financing application or stopping by Curry Acura for a test drive, our experienced team of professionals is ready to help. Give us a call today and take advantage of our current new vehicle specials or to learn more about our Scarsdale, NY Acura dealership. We hope to hear from you soon!